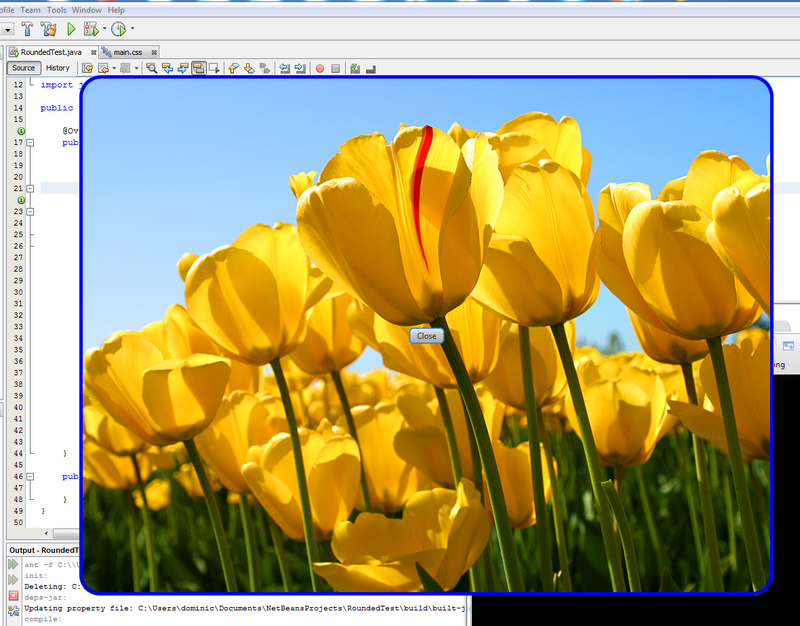 I recently had a requirement of making the window of a Java FX application with rounded corners and a background image. It is simple making rounded corners but difficult with a background image filling the main stage. After googling around i found the following discussion that says, it seems to be difficult or not possible with Java FX as of now. Thanks for the example…it made the game I am developing a lot nicer!